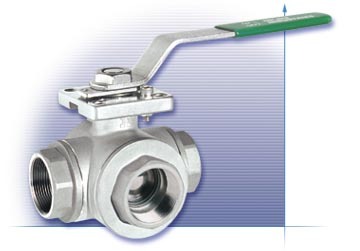 The 514F is a true 3-way ball valve with balanced 4-seat construction. It is available in full port with "L" and "T" flow configurations. Our unique dual pattern ISO 5211 mounting pad facilitates direct mounting of pneumatic and electric actuators.